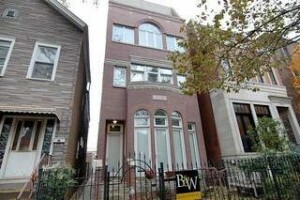 Magnificent 1st floor duplex w/ private entrance, 12 ft ceilings, and towering windows. Three bedrooms, 3 baths, plus huge family room with gorgeous built-ins and heated floors. Two fireplaces, attached storage room, private balcony, and one car garage. Located on one of Lincoln Parks most beautiful and desired streets!